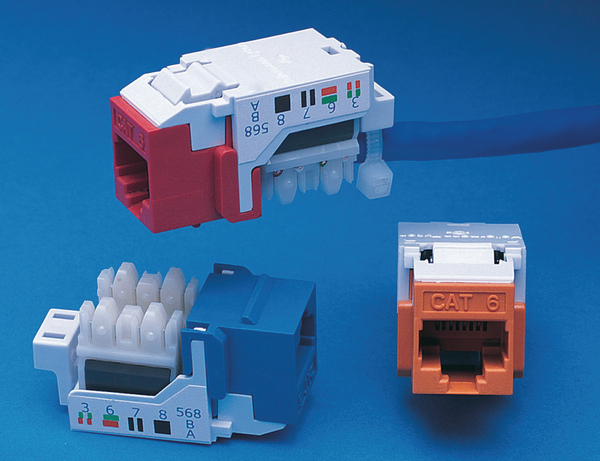 Application 2 The Cat6, Cat5E and Cat3 Keystone Jack have been designed to support their respective protocol with Cat6 and Cat5E being backwards compatible with existing network infrastructure. Description HellermanTyton’s Category 5e module Keystone Jacks offer exceptional performance that will support Gigabit Ethernet and 622 Mbps ATM applications with complete reliability. Adapters are available to enable the Keystone Jacks to be assembled with the GigaBand/Alpha Snap shuttered outlet and 6C Angled module. 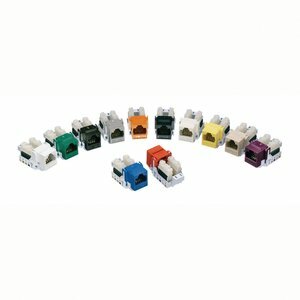 The Category 5e keystone jacks are designed to support any data or voice protocol that is capable of running over a Category 5e cabling system. Features and Benefits The MegaBand flush Category 5e modular jack offers exceptional performance that will support Gigabit Ethernet and 622 Mbps ATM applications with complete reliability. This Category 5e jack meets and exceeds the requirements of TIA/EIA-568-B.2. Technical Description Available in Black(BLK), Blue(BLU), Brown(BRN), Green(GRN), Grey(GRY), Ivory(I), Office White(FW), White(W), Yellow(YEL), Orange(ORN), RED(RED) and Violet(VIO). Bulk packs of 50 Keystone Jacks are available on request. 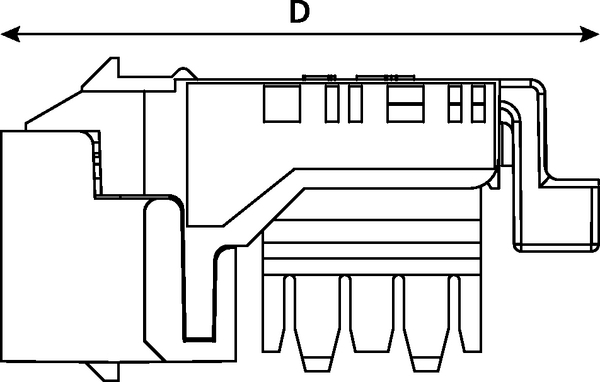 The Category 5e Keystone Jack is tested to exceed the latest published versions of ISO/IEC 11801, BS/EN50173 and ANSI/TIA/EIA 568-C Category 5e.